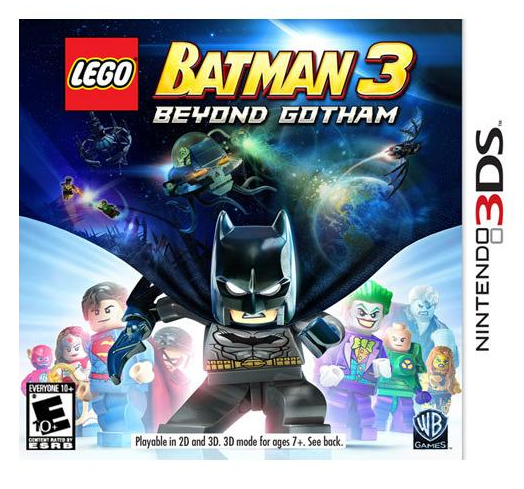 LEGO Batman 3: Beyond Gotham Only $9.99 + FREE Store Pickup (Reg. $30)! You are here: Home / Great Deals / LEGO Batman 3: Beyond Gotham Only $9.99 + FREE Store Pickup (Reg. $30)! Wow! Right now you can snag LEGO Batman 3: Beyond Gotham for the Nintendo 3DS for just $9.99 + FREE Store Pickup (reg. $30)! Great deal for a game that was just released! !